Chroogomphus are familiar mushrooms of pine forests, fruiting abundantly through the fall and winter. With the exception of sequestrate species, members of the genus are easily recognized by their widely spaced, decurrent gills, umbonate caps, orange flesh, dark olive-gray spore deposit and cowebby (but rather evanescent) partial veil. 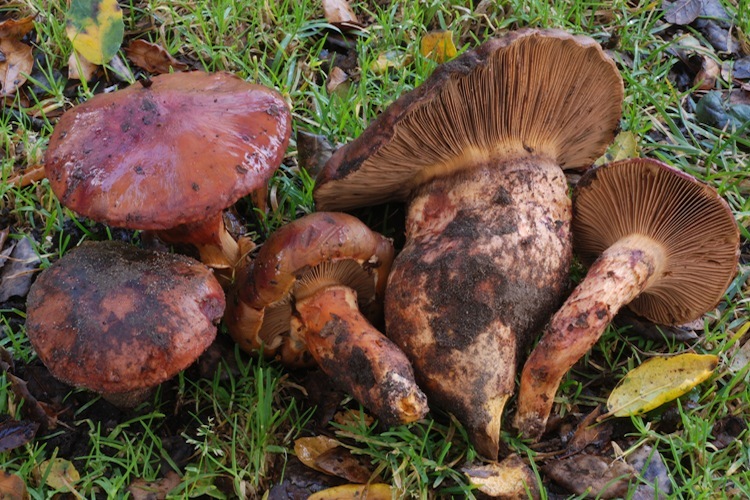 The ecology of this genus is interesting - long thought to be obligate mycorrhizal partners of pines, it is now thought that they are parasitic on species of Suillus, that are actually obligate mycorrhizal partners of pine. Fruitbodies of the two genera are usually found fruiting in close spatial and temporal association (sometimes out of the same spot in the ground!). and their host Suillus species. Always found around Pinus trees. 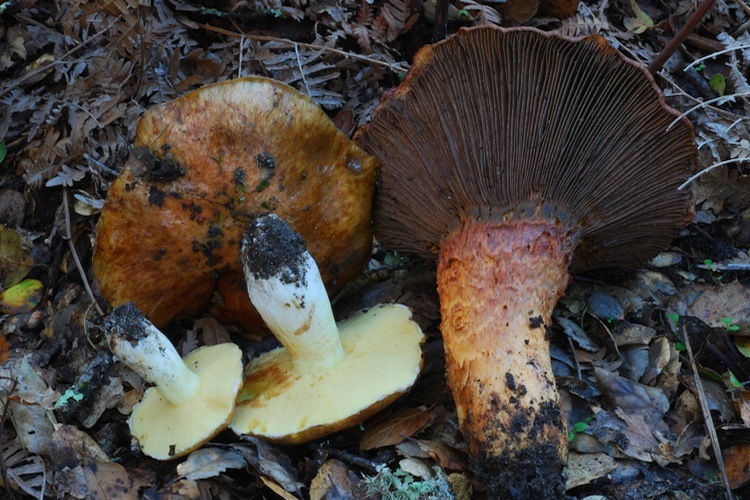 Important identification characters include overall coloration, stature, host Suillus species (and thus also the specific pine species nearby), as well as microscopic features.